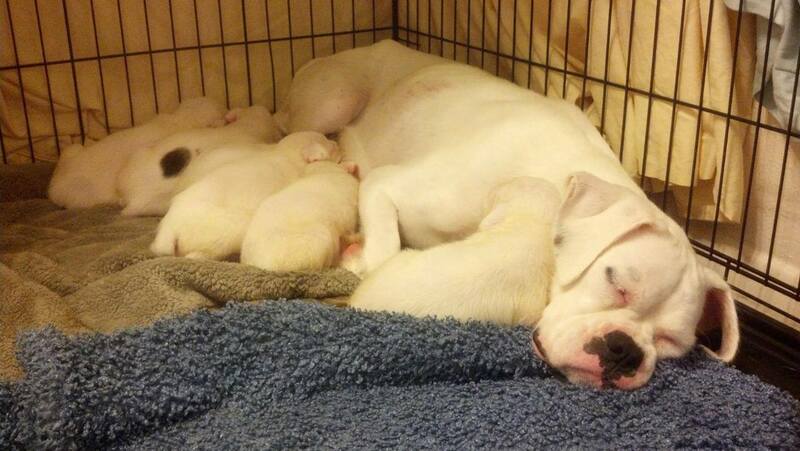 Mom and Puppies Safe from PUPPY MILL! 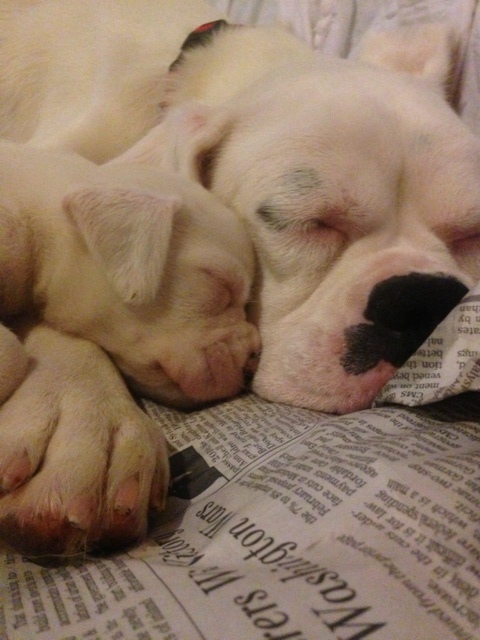 As her babies sleep with full bellies in the safety of their puppy pen, Puppy Mill Mom Sam can finally rest easy. She no longer has to wonder when her next meal will come, or if she will get fresh water today. She and her babies are no longer baking under the hot SC sun. 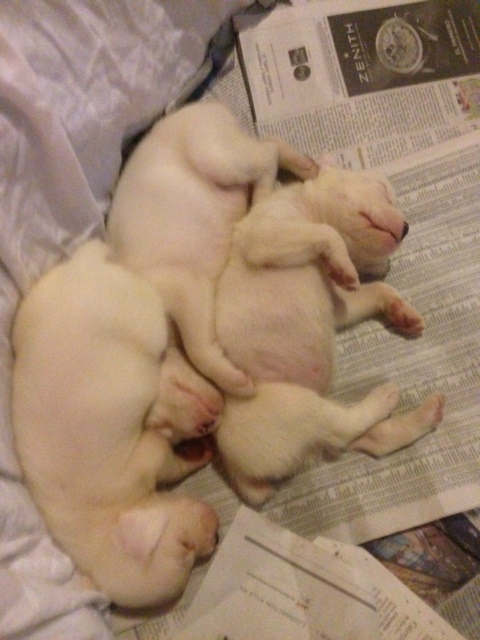 Sam is skin and bones, she gave everything she had to her puppies who are all healthy and well. Sam will need a little more TLC and care before she is ready for adoption, along with the six other female boxers BRBR saved. They are suffering from Demodex, Corneal Ulcers, malnutrition and the effects of physical and emotional neglect and abuse in a puppy mill. Please consider donating towards their care and help us help them. Click the link to donate. Sam and pups will be available for adoption via Blue Ridge Boxer Rescue. 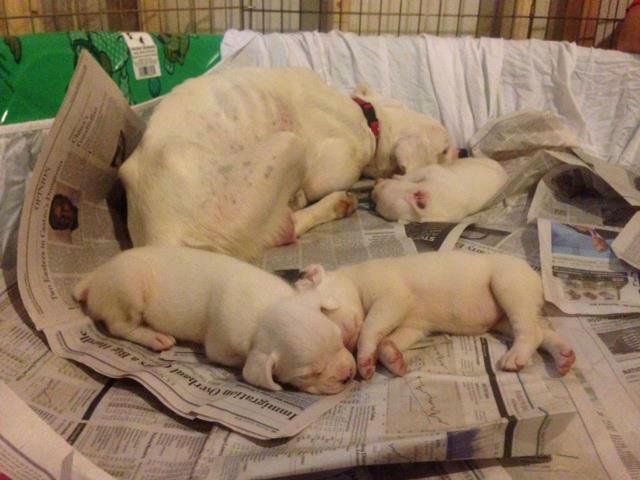 Adoptions in NC, SC, VA.
5 days post PUPPY MILL…no nursing mother should look like this! Safe and sound with us in Raleigh! 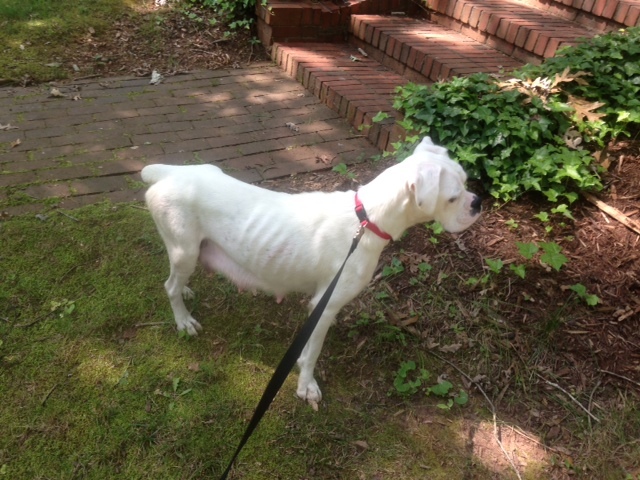 This entry was posted in Blue Ridge Boxer rescue, Boxers, Dog Rescue, Pet Finder, Rescue Dogs and tagged Blue Ridge Boxer Rescue, boxer puppy, Puppy Mill, puppy mill bust, puppy mill SC, Rescue, white boxer by BoxerRunner100. Bookmark the permalink.